You are here: Home / Bankruptcy / How Do You Value Assets In Bankruptcy? The Bankruptcy Code requires that a debtor list/disclose all of their assets in the petition. People get to protect/keep certain assets from the claims of creditors. These protected assets are known as “exempt” assets. In a Chapter 7 bankruptcy, a debtor can lose non-exempt assets to their creditors. In a Chapter 13, debtors do not necessarily lose the non-exempt assets; however, it increases the amount of money a debtor must pay to creditors over the life period of the Chapter 13 plan. People can normally find used items at a thrift store, Craigslist, etc. Used vehicle valuations can be found at KBB.com, NADA.com, Craigslist, and many other places. A reliable house value might come from the county assessed value, a recent appraisal or a Comparative Market Analysis (CMA) prepared by a real estate agent. Collectibles should be valued based on its collectible value. For example, a collectible stamp might be a 10 cent stamp, but it might cost $500 to buy it on eBay, etc. Use the $500 value if that is what it would truly cost to replace the stamp. Do not confuse an “asking” price with a “sale” price. You want to see what an item has actually sold for with the idea that that figure is what it would cost you to buy/replace your item. Also, a debtor should not use the price for a new item unless what they have is new (in the box and unused). Again, the value is based on your asset’s current condition (old, worn, dirty, broken, etc). As a general rule, you do not want to value an asset based on what you could get for it if you sold it. That approach may arrive at the same figure as if you purchased it. However, technically, that is not the correct way to arrive at a value. Likewise, I tell clients that a garage sale value is not acceptable – at least for larger items – because you cannot regularly buy a TV or a car at a garage sale. Debtors only have to protect the equity they have in an asset. If a debtor has a car worth $5K, but that car has a debt against it of $3K, then the car has a net value of $2K; the debtor only needs to exempt the $2K in value in the car above the debt. 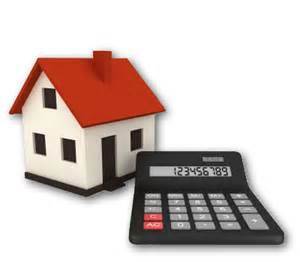 The same approach goes for a house or any other asset that is collateral for a loan. A debtor will value items based on how much the debtor would have to pay a usual seller of such items to obtain an item just like the one they already have. With that standard, very few people have more in assets than they can easily protect in bankruptcy. I would go as far as to say that about 99% of my clients do not lose a thing to the trustee/creditors in bankruptcy. So, do the best you can to put a correct and reasonable value on your assets. If you have a question on value, ask us and we’ll help you sort out the value.